With this product you can accumulate up to 56 Glitter Points. 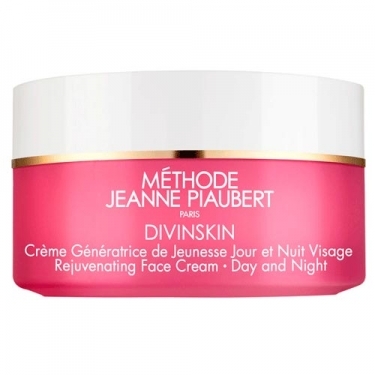 DESCRIPTION: Divinskin Crème Génératrice de Jeunesse Jour et Nuit Visage from Jeanne Piaubert is a cream to fight against the first signs of aging. The innovative ingredients in day and night cream act in total synergy for a complete action against aging skin. Skinylink firmness skin while Aquafilm complex maintains optimal hydration. Toxiclear delays the appearance of the first wrinkles and fine lines and detoxifies the skin through a metamorphosis of toxins that allows the cells to gain several years of life. In addition, the skin's brightness is driven by mother-of-pearl reflection light microspheres. Apply morning and / or evening on all face and neck.